Governor Alfred Mutua has named his cabinet, largely consisting of close allies and former senior officials. Dr Mutua forwarded seven nominees for various dockets in the county executive for vetting by the county assembly. The governor retained three executives from his previous term - Naomi Mutie (Water and Irrigation), Ruth Mutua (Health and Emergency Services) and Faith Wathome (Tourism, Youth and Culture). Mutua’s deputy, Francis Maliti, will be in charge of Finance and Economic Planning. The nominees include Kimeu Mbithi, who has been appointed to head Public Service, Quality Management and ICT. Morris Aluanga, formerly the chief officer of Special Programmes, was nominated to head the Roads, Transport and Public Works docket. Kangundo parliamentary aspirant Titus Matiku, who lost in last year's elections on a Maendeleo Chap Chap party ticket, was nominated to head County Administration and Decentralised Units. County Secretary Francis Mwaka was nominated to head Trade, Industrialisation and Innovation while Urbanus Wambua, who has been the chief officer in charge of Energy, has been proposed to head Agriculture, Food Security and Co-operative Development. 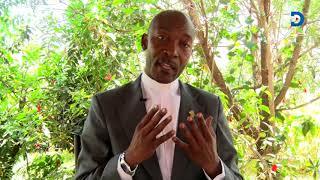 The governor also picked Lazarus Kivuva, formerly Roads chief officer, to head Education, Skills Training and Social Welfare. 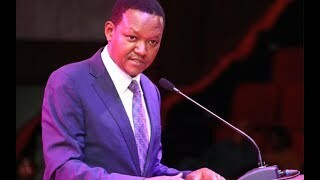 At the same time, Mutua named three of his former executives - Kioko wa Luka, Hellen Kiilu and Joshua Musili as special advisers in his administration. Mr Luka will advise on economic affairs while Ms Kiilu will advise on inter-governmental relations. 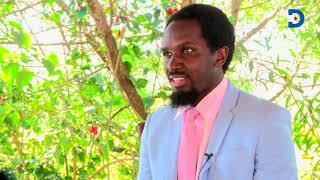 Mr Musili is now the adviser on emerging issues. Members of the County Assembly are expected to vet the nominees when the House reconvenes from recess in June. The MCAs have been pushing the governor to name his cabinet, saying the delay had affected development programmes in the county. Earlier this week, the County Public Service Board published shortlisted names for various chief officer positions.